Our audiences are made up of a wide variety of people. Some may be attending a symphony concert for the first time while others, and this includes many of our Supporters, have been listening to classical music for many years and have a huge knowledge of the repertoire and sometimes very strong opinions as to what they like and dislike. We always love to hear from you about the music we are programming, suggestions of music you would like us to consider playing, the times of the concerts we present, and the venues, anything in fact which you feel is worthwhile telling us about. This feedback is valuable to us for our future planning. As an example, I would like to share with you some of the comments I received from a Supporter who had driven all the way from Hamilton to attend the AYO concert in Ormiston. Although he is a General Supporter and therefore could have attended the concert without charge, he chose to pay again because he noticed that the audience at that venue was very small. He thought that the theatre was good, with close-up intimacy, and he loved being able to look down the slope onto the keyboard when Sara was playing. He also thought that the acoustics were good too, though the orchestra may have felt a little bit crowded on the stage. These are all things which are useful for us to know. As you can imagine it is comments like that which makes all the hard work so rewarding, not only for the players, but for the committee too. See our website for concert details in Europe. Rehearsals are nearly completed for the orchestra’s imminent tour of Europe, and excitement is building. Leaving Auckland on Sunday the 12th August, the tour will begin in Vienna where the players will receive coaching from members of the Vienna Philharmonic Orchestra and lecturers from Vienna University. They will then travel to Dobrna in Slovenia where they will give two concerts and receive further coaching from members of the Slovenian National Orchestra in preparation for the Young Euro Classic Festival in Berlin. On the 17th of August, the orchestra will travel to Berlin via Prague staying overnight there, with an opportunity to explore t he old city, then at 8pm on Sunday 19th August they will give their festival concert in the Berlin Konzerthaus. This is a most beautiful concert hall, with wonderful acoustics and an incredible history; it will be a never-to-be-forgotten experience for the players. The concert will be recorded and broadcast and also streamed on social media – we will post the link on our Facebook page in due course, if you are interested to watch and hear the performance live, at 9am on Monday 20th August, NZ time. The next day they will depart for Bayreuth to take part in the Bayreuth Youth Music Festival, giving concerts in the Bayreuth Stadtkirche and Speinshart Monastery. 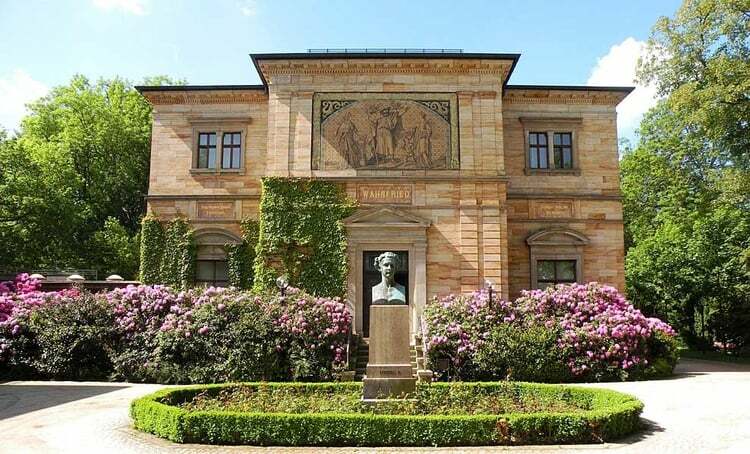 While in Bayreuth they will have the opportunity to visit Wagner’s House. 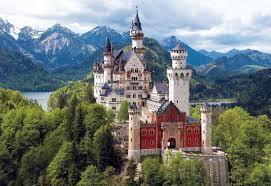 Travelling to Tübingen on Wednesday 22nd t hey will give their final concert there and visit Fussen and Neuschwanstein, mad King Ludwig’s famous fairy tale castle. 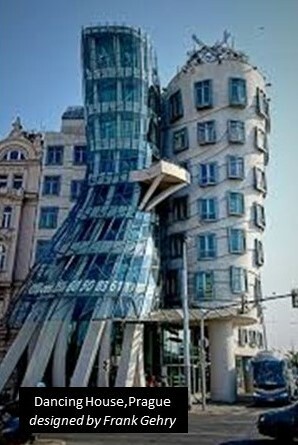 They will then travel to Frankfurt and arrive back in Auckland on Sunday 26 August. After this life-changing experience the orchestra will give performances of the tour programme at Papakura and at the Auckland Town Hall over the weekend of 8/9 September. I am sure you will all want to be there to welcome the orchestra home. A feature of the Young Classic Festival is the significance given to premieres of the participants’ national composers. There will be fourteen World or European premieres this year and AYO will be presenting two: Anthony Ritchie’s Cartoon: Fantasy for Oboe and Orchestra, which was first performed at our May 2017 concert, with Noah Rudd as soloist, and a piece of my own, Persephone, which will receive its world premiere in Berlin. This composition came about as the result of a dream I had last year, which was so vivid that I could remember clearly all the main features of the work when I awoke, and I decided to write it down while it was still in my mind. It was while I was halfway through the piece that Antun contacted me, asking whether I had something we could include in the Berlin concert, as the organisers wanted a world premiere. I finished writing it and was naturally very pleased when, after showing it to him, he thought that it would be suitable for the occasion. I will be intrigued to discover whether the reality of hearing it played will correspond to the dream experience! We will have two soloists on the tour. 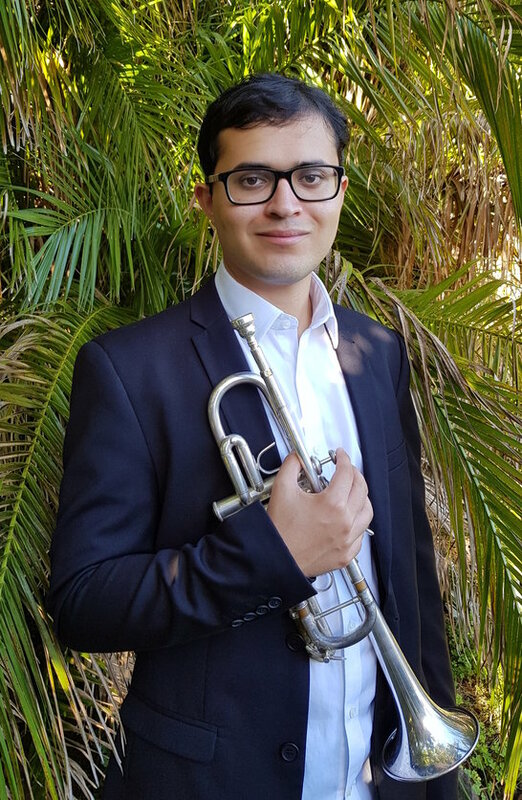 After the Berlin concert, Jake Krishnamurti, the AYO’s first trumpet, will take over from Noah Rudd for the last three concerts of the tour, plus the Auckland concerts, performing Haydn’s trumpet concerto. Jake is pursuing a conjoint degree in classical trumpet performance and computer science. He has played trumpet in several Pop-Up Globe productions, was a featured soloist in Josh Groban’s 2016 performance at the Vector Arena, and was the trumpeter in the Auckland Theatre Company’s production of Billy Elliot the Musical. The other works on the programme are Copland’s Appalachian Spring, and Sibelius’s Finlandia, well-known and popular compositions which I think need no introduction.